Ok.....if you have been following us for a while, you know that next to higher level math, writing is something that I do not enjoy teaching. Throw in my own writing phobia with my children who all have visual perception delays and WOW...it's the perfect recipe of a disaster. 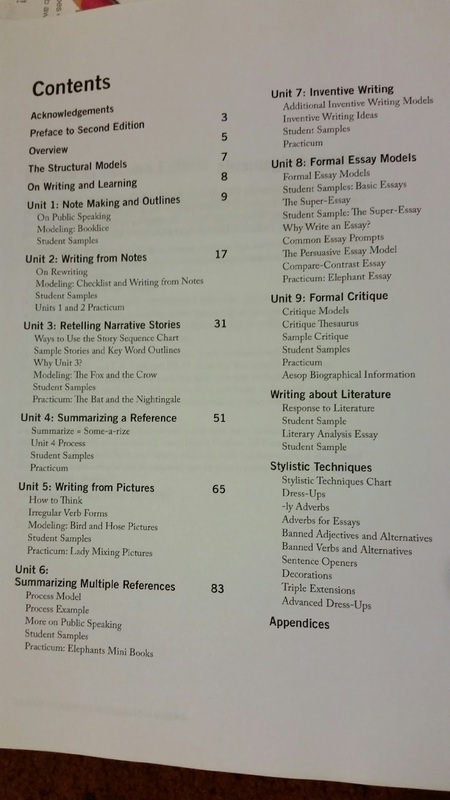 We recently had the opportunity to try out the Teaching Writing/Student Writing Intensive program - Level A from Institute for Writing Excellence (Grades 3 - 5). I was excited to get a chance to use this with Lydia who is struggling to get her thoughts into complete sentences and stories. Lydia is the child that literally types, "Ummm" in her reports since a person would say it (or at least this is what she told me was the reason. I had heard that Institute for Writing Excellence was a very Intense program that would allow children of all learning styles to progress in their writing. I was honestly not expecting the package that we received. 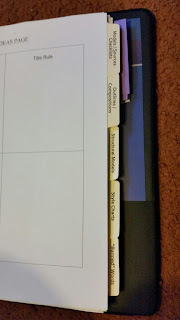 I guess in my brain I am used to needing to do a certain amount of research and extra work with most curriculum. Teaching Writing/Student Writing Intensive program - Level A is specially designed for help students who are struggling with writing to catch up where they need to be. It is elementary grade level. This package is priced at $249.00. Teaching Writing: Structure and Style, which is a seminar to help you learn how to teach writing to your children. Mom gets to go to school with Andrew Pudewa who is working to help you teach everything from the basics all the way up to advanced creative writing and essay work. You will learn how to teach outlining and summarizing, the way to write a cohesive paragraph, develop essays and how to use those ideas floating in their head into writing. It is beneficial for teachers who are working with students from Grades K-12. Also included is the Student Writing Intensive A. This 4 DVD set includes actual live classroom recordings. It has been created to be used over your choice of 15 - 30 weeks. The Student Writing Intensive A can also be used even if your student has never used a previous writing program, so it can be started at any point with them. 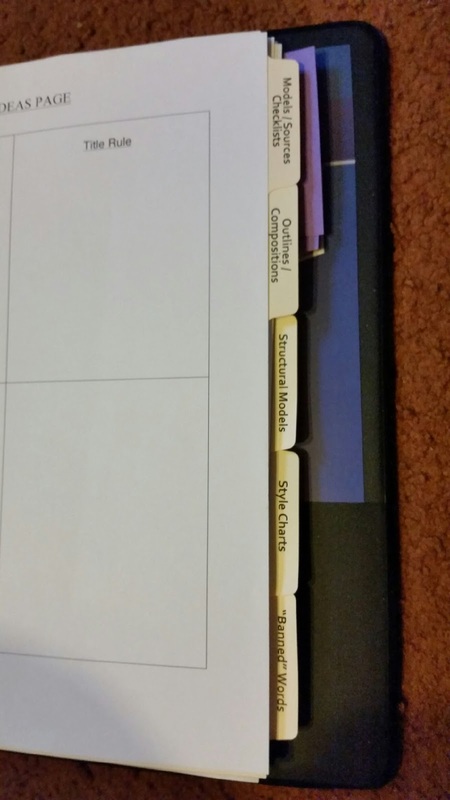 Included is a scope and sequence, along with lesson plans and extra suggested assignment in case your student may still be struggling a bit with a topic, student handouts, and a binder with tabs to help your student keep everything organized. When I first opened this package I will admit that I was feeling very overwhelmed. 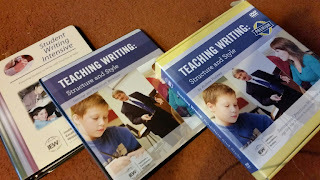 I soon realized though that you do not need to watch the whole Teaching Writing: Structure and Style before you start using the Student Writing Intensive A. So that made it easy for me right away. Mr. Pudewa was a very easy teacher to watch. When we started Student Writing Intensive A, I struggled a bit with how to use this with Lydia. Would she find it boring? We used my laptop to watch the lessons, which were very helpfully laid out in the scope and sequence. I don't remember learning to write being that easy. Mr. Pudewa allowed them to check for the answer to his question in the included reading passages. Then he reviewed the material with them to see if they had picked the write words. Here is where we then had to make a modification. It was very easy to do. Students were supposed to handwrite out a new passage on the topic, and that was very difficult for Lydia (and frustrating). So then she just typed out her passage for me and printed it for her binder. It was an easy adjustment to make to help her out. 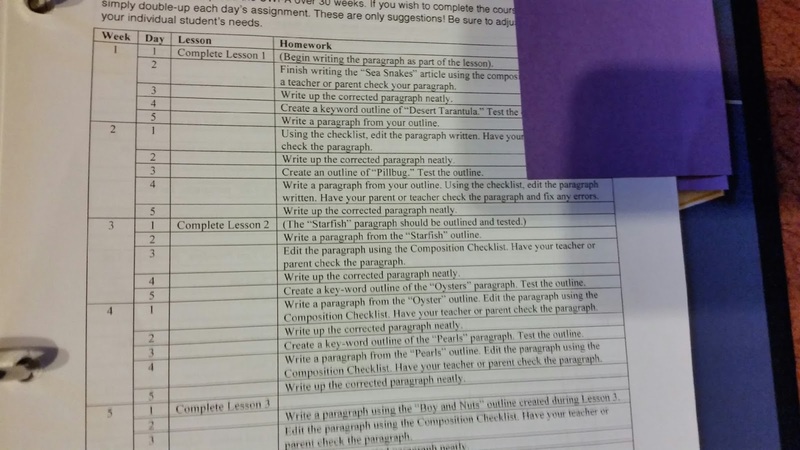 We also approached the program at a lesson a week and used all the extra practice that is included with each lesson. 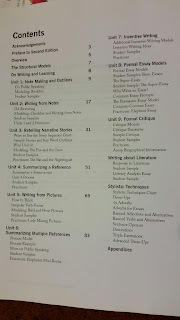 The Teaching Writing: Structure and Style workbook is packed full of information to use along with the DVD seminar. The information you are learning is not just for use with Student Writing Intensive A, but throughout your student's schooling career. It seems like a lot to take in, but you can watch and go through the workbook in spare time (and yes I know, you have a ton of that). But you really can watch so much a week to help you help your student. And what better way to attend a conference than on your living room couch in your PJs with whatever snack you enjoy!! 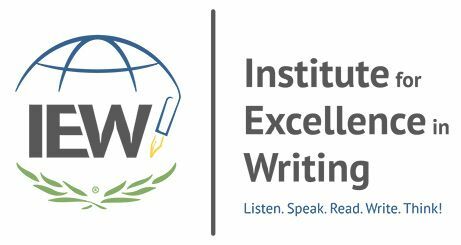 The Teaching Writing/Student Writing Intensive program - Level A from Institute for Writing Excellence has been a great addition to our classroom. 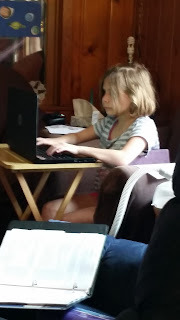 Using the Student Writing Intensive A is so easy, it's almost like Lydia can teach herself. I have seen some improvement already in her writing, and we have only been through a few weeks of the program. So we will continue along and see if she can get at or above grade level this summer. (The Student Writing Intensive A would be a great help for even public school students who are struggling with their writing. It would make a great addition to work over the summer so that they can make improvements or keep from losing the momentum they may have had during the school year.) 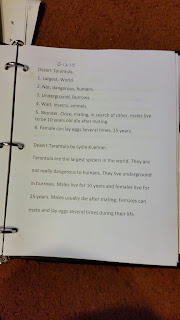 Each daily assignment/viewing was anywhere from 30 minutes to 45 minutes depending on Lydia's attention span. That is why we are concentrating on a lesson a week, since her ADHD has been off the charts the last few weeks. 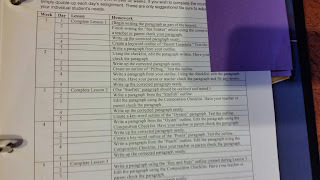 But like I mentioned earlier, it is very easy to start/stop and make adjustments for your students who are struggling. The point behind the Student Writing Intensive A is to make writing easier and fun, not make it boring and a dreaded task. We will continue using Student Writing Intensive A and will continue onto Student Writing Intensive B as we need to in the spring. We mainly used this program with Lydia, but I can see it benefiting the boys also. So we will most likely start a group lesson with the boys soon to help them work on their writing since it can be short and choppy. You do need a workbook/kit for each child, but I see it helping them get their thoughts out on paper finally. Several members of the Schoolhouse Review Crew were given the opportunity to try out various products from the Institute for Writing Excellence. Take some time to see how families used not only the writing programs that are offered, but also the early Reading/Writing program.